PraiseTracks » iRig Mic HD-2 Puts the power of HD recording in the palm of your hand! 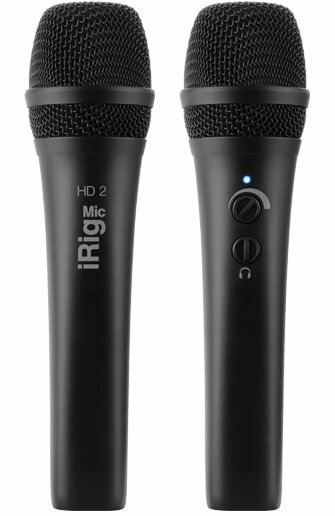 iRig Mic HD-2 Puts the power of HD recording in the palm of your hand! Superior digital sound always on hand Both in the studio and on the go, iRig Mic HD 2 is much more than just a digital USB microphone; it is a comprehensive tool for boosting the quality of audio content creation with all the convenience of a handheld form factor which cannot be found anywhere else. 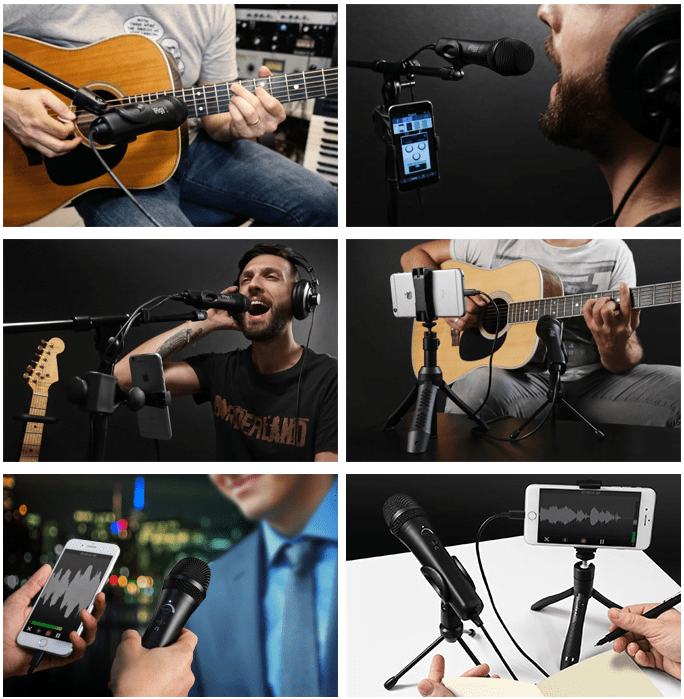 iRig Mic HD 2 delivers incredible performance and gives users the ability to record their instruments or vocal performances with 24-bit resolution and sample rates up to 96kHz. Integrated headphone output – iPhone 7 ready iRig Mic HD 2 features a versatile, integrated headphone output with volume control that can be used for monitoring the audio signal during recording or for listening to high-resolution music – including on the iPhone 7. The output can also come in handy for sending the audio signal to an external device like another recorder, a mixer or a PA system. Fully compatible and accessorized iRig Mic HD 2 is designed to work flawlessly with the latest generation of iPhone, iPad and iPod touch devices as well as with Mac and PC. It comes with a Lightning connector cable, a USB cable and extra accessories like a convenient table tripod, for use during conferences, radio shows, video calls etc., a sleek carrying pouch, for protecting the microphone while traveling or for storage, a mic stand clip and a handy 5/8″ to 3/8″ thread adapter. Over $/€170 worth of software and apps iRig Mic HD 2 comes with downloadable versions of Mac and PC software including Ableton® Live Lite™, a Digital Audio Workstation application; T-RackS Classic collection of audio processing plug-ins; and Mic Room, with incredibly realistic virtual models of some of the most desirable microphones of all time. Also included are iOS apps such as the Mic Pack for VocaLive, that adds a collection of virtual microphone models to the real-time vocal effects processing and multitrack recorder app; Pro Bundle for iRig Recorder, which adds indispensable processing like equalization and compression to the pro-audio recording and editing app with video; and Mic Room, the microphone modeling app. Pricing and availability iRig Mic HD 2 can be preordered now at just $/€129.99* and will be available for shipping in September 2017.